While destination weddings tend to be more relaxed than local ones, planning a destination wedding is actually harder. As well as all the usual elements like a venue, dress, and catering, you also have to consider other aspects like block booking hotels, dealing with suppliers in a different language, and negotiating the legalities of getting married abroad. Luckily for you, we are experts at planning destination weddings in Europe and around the world. 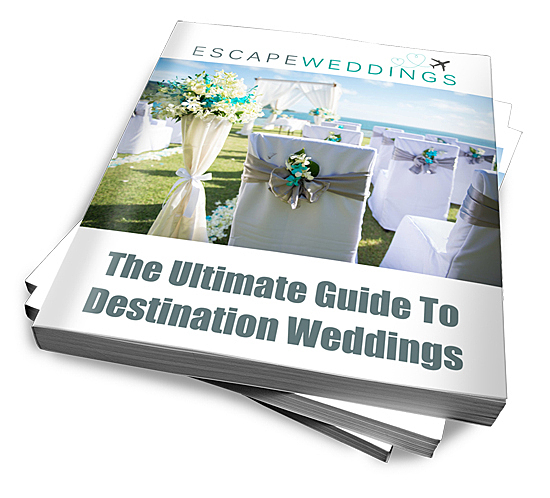 Here is our advice on how to plan a wedding abroad. Would you prefer a city, beach, church, or vineyard ceremony? Do you want it in the summer or winter? Will it be small or large? Would you rather have a smaller, more luxurious wedding, or economise in places so you can have more people attend? Is there a certain destination you have in mind for sentimental reasons, or are you simply looking to make your wedding as different as possible? Once you have your checklist start looking at locations which match it. Factor in the travel time, and things like weather, so you don’t mistakenly book your beach wedding during cyclone season. You may find that a destination naturally makes its way to the top of the list, or there may be two or three which appeal. Give yourself time to make the perfect choice and, if possible, visit the place you’re considering before making a decision. The cost of a destination wedding is relatively cheap compared to getting married in the UK, averaging £7,000 compared to £20,000, so investing in the services of a destination wedding planner is affordable. The money you spend will more than repay itself in saved effort and stress. 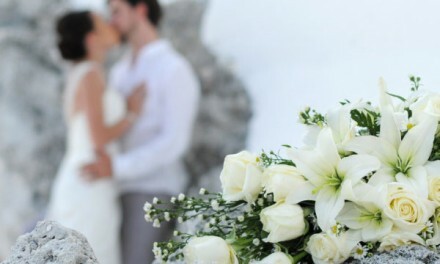 Your wedding planner will give you a choice of venues to fit your criteria. Do not do anything – not even look at wedding dresses – until you have decided on a venue. It sets the tone for the entire event, and everything else will fall into place around it. It is better if you can visit potential venues before booking but if this isn’t possible, the next best thing is working with an experienced wedding planner with good local knowledge, and speaking to venues before booking. Some countries, such as Portugal, require you to have all your documents (such as birth certificates, affidavits, and decree absolute) translated into their language. Permits can also take several months to come through. Getting the ball rolling on this will help eliminate your wedding having to be delayed due to a lack of permit. The more notice you can give your guests for a destination wedding, the better. You can send Save the Date cards as soon as you have booked your venue, but your invitations should go out at least three months before the big day. The easiest way for you and your guests to keep track of information is by setting up a personal wedding website. There are a lot of free options available, or you might want to have on included if you are sending interactive wedding invitations. This is where you will put information about hotels, transfers, maps, itinerary, and links to local websites you think your guests will use. Aim to arrive two or three days before your wedding, especially if you are crossing several time zones. NextAre These the Best Overwater Bungalows in the World? My fiancé and I are marrying this year and are footing the bill ourselves. The site of the ceremony and reception also has sleeping accommodations for about 30 people. We will be staying there and want to offer rooms to some family and friends who are traveling from afar. Is it rude to delicately suggest a donation to help offset the cost of renting the wedding site? If the location didn’t have sleeping arrangements, everyone would be paying for hotel rooms anyway. I certainly don’t want to upset anyone or appear tacky. Thank you Escape Wedding. I was actually browsing a lot of blog looking for helpful tips on destination wedding and I found yours very simple and concise. I’ll definitely take note of this. I already set a group chatroom for my wedding to discuss few detail with my entourage. I wanted to be a hands on bride but we currently have consultant to check out suppliers since the wedding.